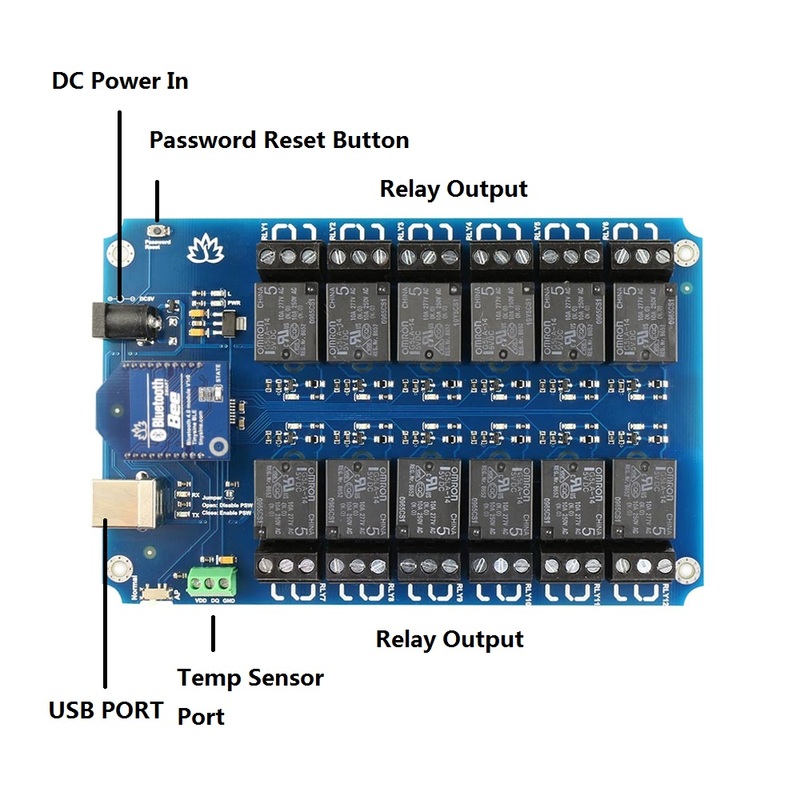 TOSR196 Bluetooth Relay board support both Andorid and iOS and it has password. It’s a convenient and easy-to-use product that be used to control any electrical equipments. You may wish to pair with a mobile phone. Open the APP->Connect Device, use your phone to search for a new Bluetooth device. The module will appear as "BT Bee-BLE". Connect it, and then you can control the relays ON/OFF. The communication way also can be changed easily. 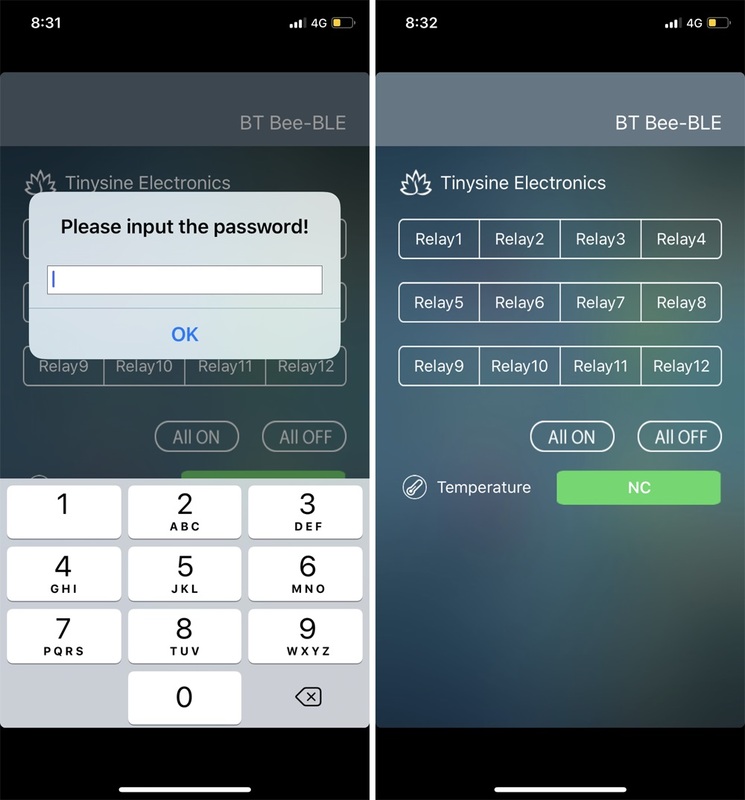 Remove the Bluetooth Bee module instead with a WiFiBee, it becomes a WIFI relay. TOSR196 supports password. You can set each channel to latching or momentary output. This relay board provides four volt free contact relay outputs with a current rating of up to 10Amp each. one DS18B20 temperature sensor port. 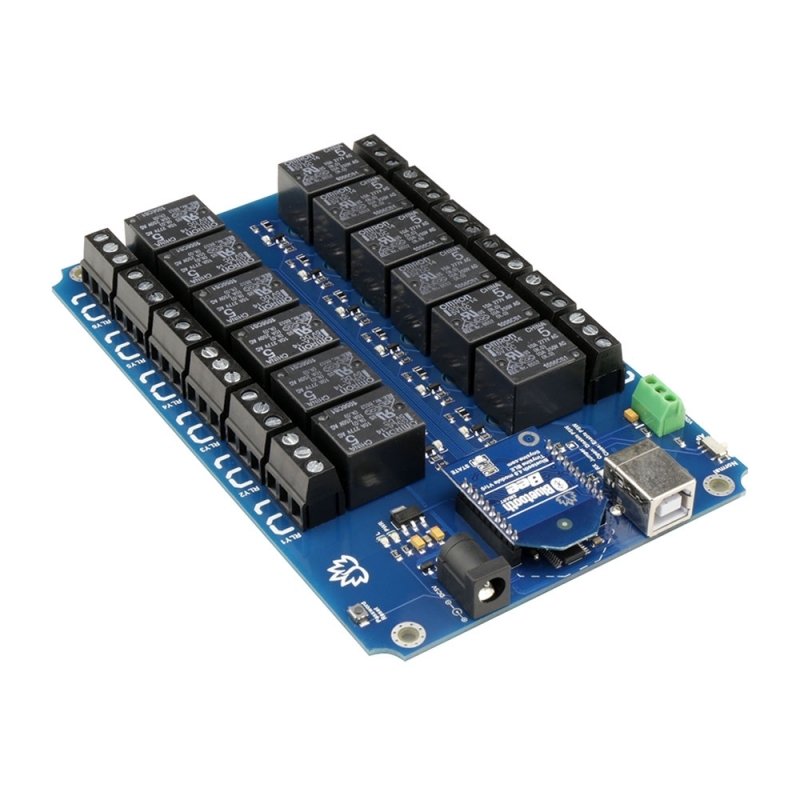 The module is powered from a 5VDC power supply. 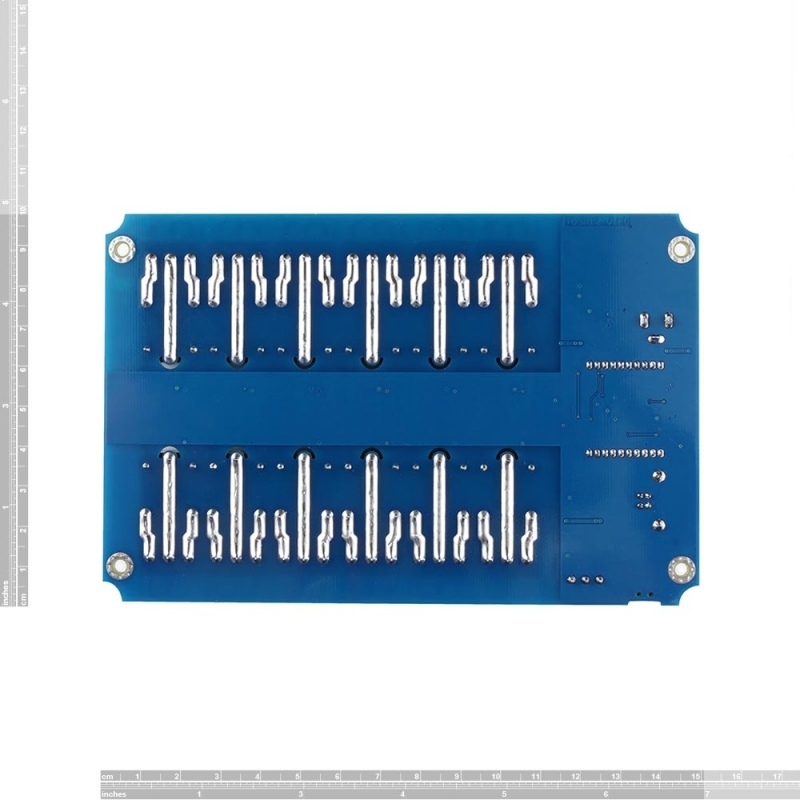 The DC input jack is 2.1mm with positive core polarity, The relays are SPDT types. 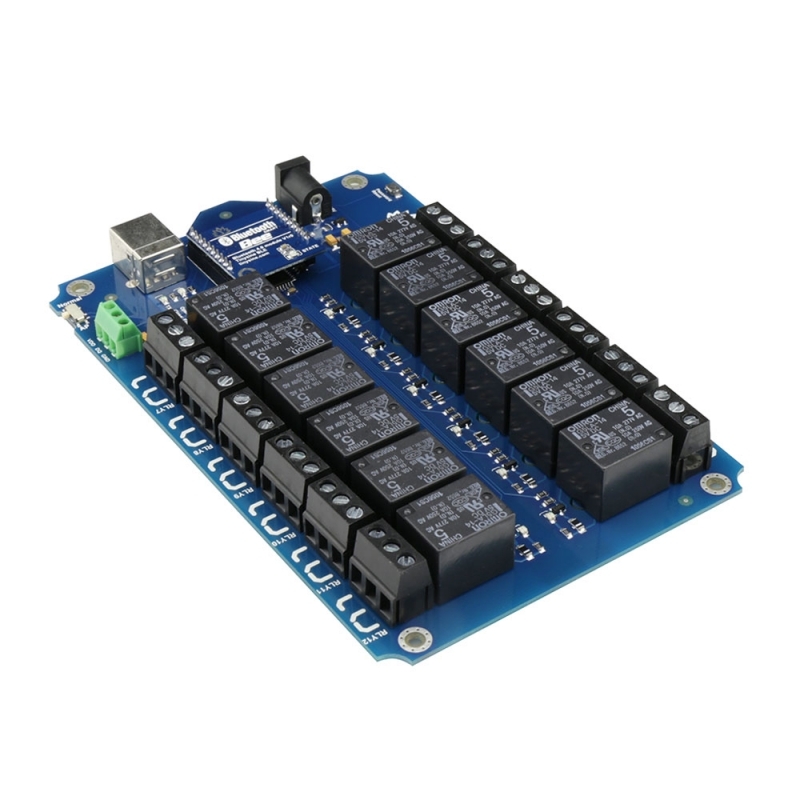 If you want power it with DC12V or 24V, you just need a 12V/24V-5V DC converter. 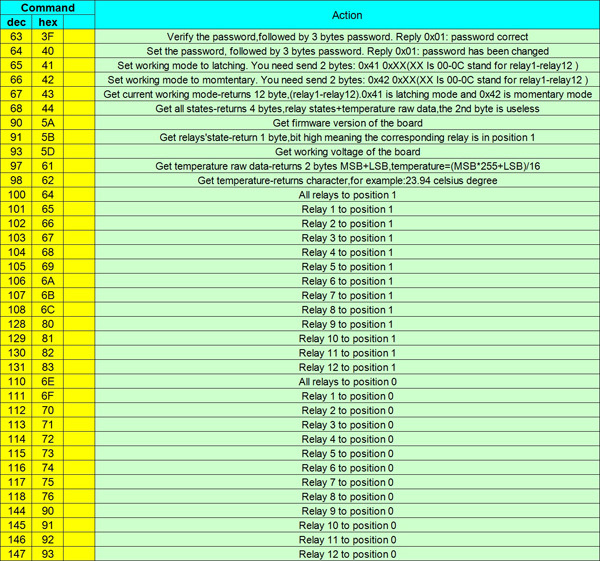 The TOSR196 operates with an easy to use command set as described in the table below.